"We deliver innovation and guarantee quality. In all fields. Using all technologies." Baumer customers include small, highly specialized plant and machine construction companies, large industrial enterprises and groups of companies operating at global level. The best in their field in Europe and throughout the world for over 60 years. As your partner in automation, Baumer, with it's extensive product portfolio, can offer exactly the right sensor from every significant sensor technology - from a robust to miniaturized version. The unrivaled performance features of our position and distance sensors help to save time and money, even in demanding applications, thanks to easy commissioning and reliable operation - from planning to maintenance. Detection, inspection, measurement, documentation- automated image processing is finding it's way into many areas of industrial production. Baumer was among the pioneers and is now a leader in industrial image processing - whether for high-quality image acquisition components or intelligent vision sensors for quality control. 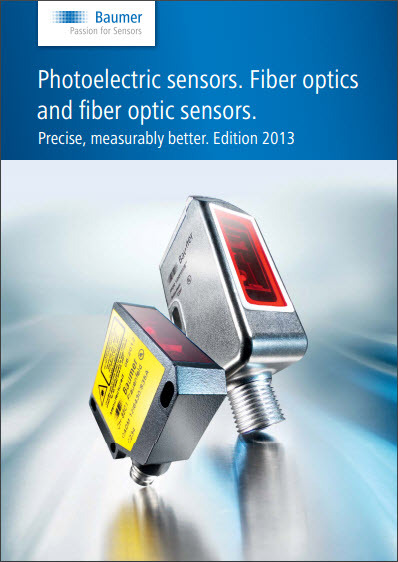 With our compact special sensors, we offer quickly installed solutions for numerous quality assurance and control tasks in which conventional position or distance sensors reach their limit. Whenever it comes to acquisition of rotary or linear motion you will encounter Baumer as a leading manufacturer. The sensors provide precise angle and speed feedback at shafts and drives for enhanced control and efficiency in the application. No matter whether accuracy, robustness, compactness, a specific interface or an industry-specific solution is required: Baumer always offers the right product. Also known under the Hubner Berlin brand, for decades Baumer has been the global market leader in heavy duty sensor solutions for drive engineering. Whenever it comes to evaluation or display of process-relevant variables such as position, quantity or frequency, the displays and counters made by Baumer are the communication link between sensor and control. Together with the appropriate cable, connector and mounting accessories you save valuable time by quick installation, set up and convenient operation. It's all up to you! Interested in a Baumer Product? Find all of Baumer's videos on their YouTube Channel.